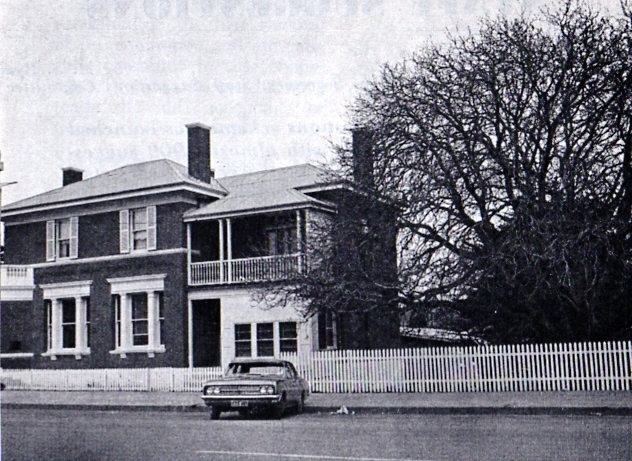 Oak Flats 1977 listed in Annual Report as receiving office of Warilla Grove. 1934 Listed in Century of Banking, Manager C.A. Gracie. David Jobsons says: Both CBC and NBA were in Oaklands - a very nice old CBC there- and both conducted Receiving Offices at Daysdale. 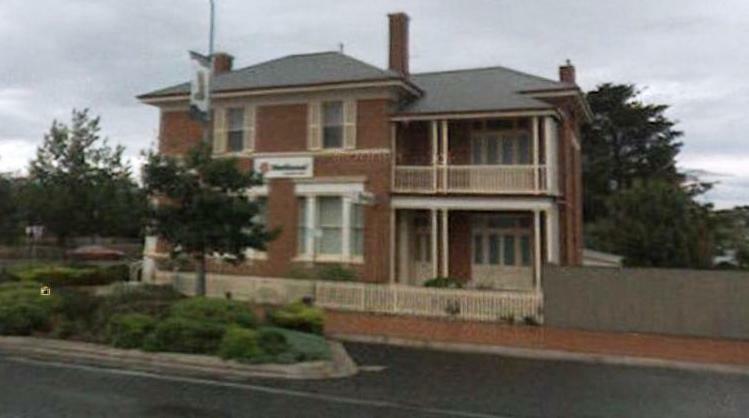 There is also an old branch of the Bank of NSW at Oaklands, a small plain "box" type building. 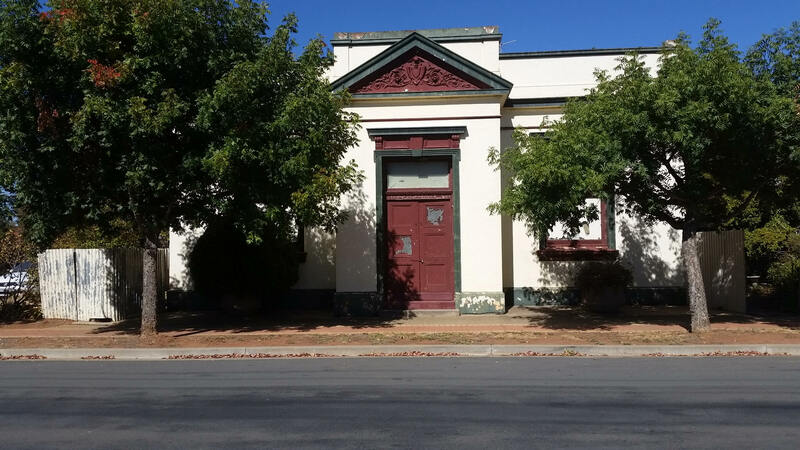 2018 May Errol Coles sent a photo which may be the Bank of NSW described above. A check on Wikipedia resulted in the same building as the other photos from a different angle. 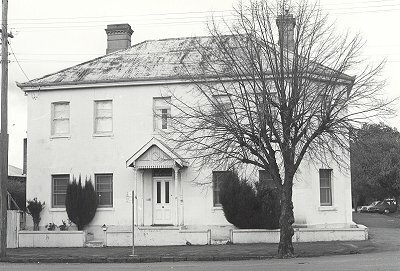 2009 1892 Branch premises/residence built (from Current Accounts July 1970). 1970 photo in Current Accounts July issue by branch customer SR Nicholls. The giant walnut tree standing in the grounds of our branch is reputed to be the largest in Australia. Sketch supplied by Graham Tarrant. D.P. Wyatt, the artist presented him with this copy in 1977 when he left Oberon. 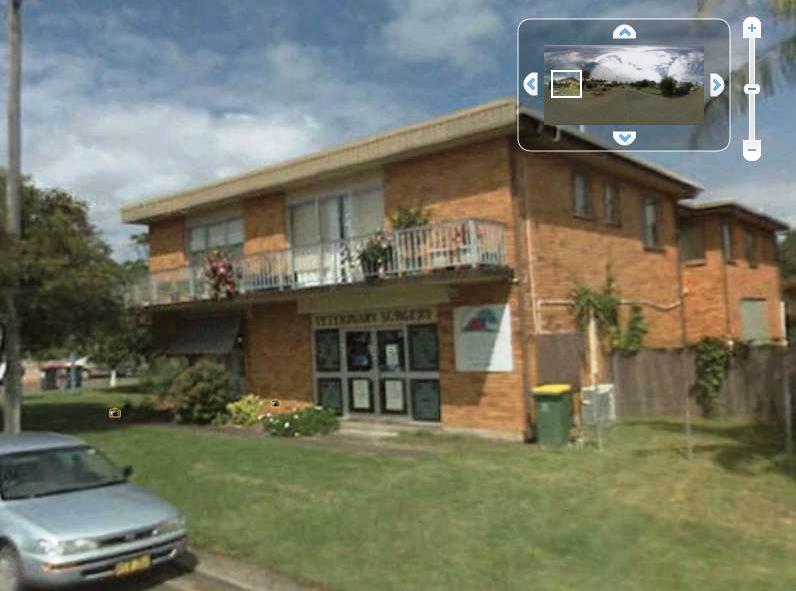 2008 2008 Photo from GoogleEarth of 2 Sheppard Street sourced by Geoff Chapman, who notes: These premises, in Sheppard Street Old Bar, now a Veterinary Surgery, are the premises from which the Old Bar Receiving Office of Taree Branch operated in the 1980's/early 1990's. 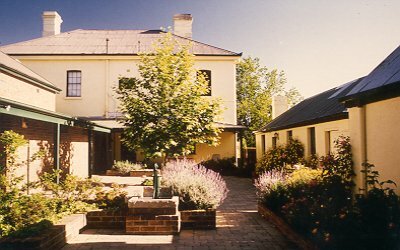 The building comprises a two-storey rendered brick and iron-roofed main building with a later single-storey brick classroom or hall at the rear, added during the period of school occupancy of the building and perhaps contemporary with the Federation style porch of timber construction added to shelter the principal entry to the main building. Outbuildings at the rear include a separate kitchen-house and a stables block with later garage addition, the latter original internal details such as the horse ‘boxes’ and wooden cobble floors. 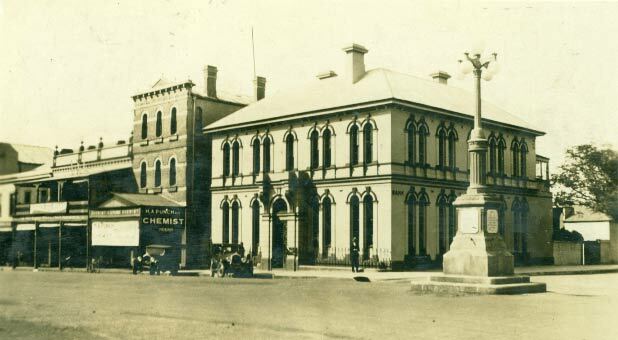 The Union Bank of Australia was established in Orange in 1857 in temporary premises and in 1858 opened in the present building. It was first bank in Orange. In April 1862 the business of the Union Bank was taken over by the Commerical Bank of Sydney. It would be after this year that the building was acquired and used as a Police Station. In 1874/75 buildings for the Police Department were under construction in Byng Street not far from the Court House. 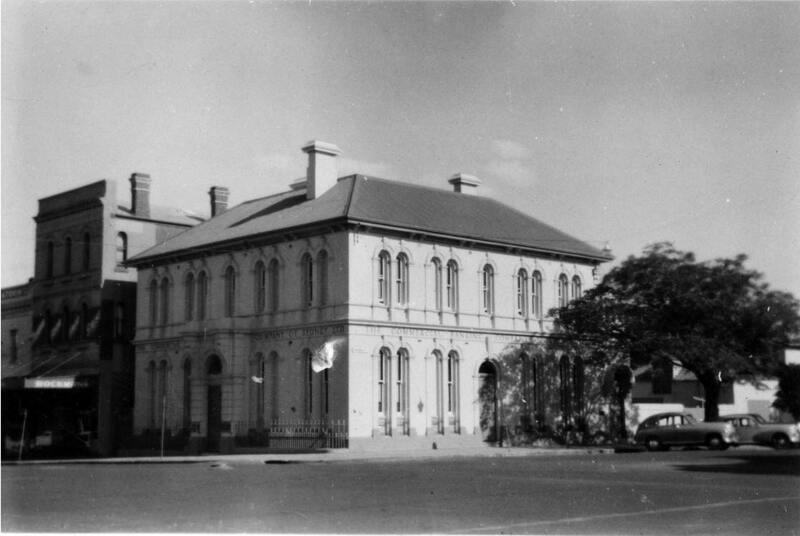 In February 1980 the Heritage Council was advised by the National Trust of Australia (NSW) that the Former Union Bank was under threat of demolition. A Section 130 Order was placed over the building on 29 February 1980. A formal notice under Section 132 was subsequently made by the owners of the building with the intention to demolish the building. 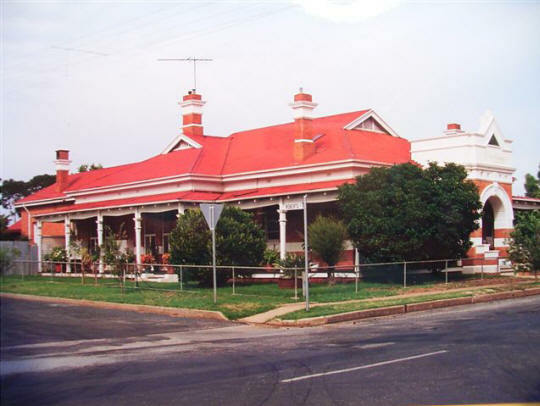 After taking into consideration the views of Orange Council and the owners of the building an Interim Conservation Order was placed over the building on 18 April 1980 in an effort to find a suitable use for the building. 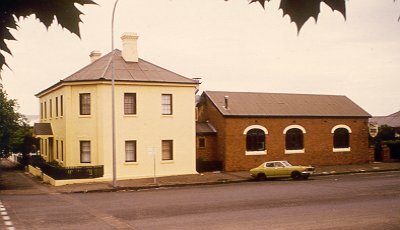 In August 1980 the Department of Public Works inspected the property and advised the building was significant for its historic and streetscape value and was suitable for re-use as professional offices or residential/commercial use. In 1981 the property was sold and a loan and grant was made available to the owners for the restoration of the building. On 11 February 1983 a Permanent Conservation Order was placed over the property. It was transferred to the State Heritage Register on 2 April 1999. 1915-20 photo from NAB archives. 1950s studio photo supplied by Jane Reardon, IC Woolley's granddaughter in November 2012. She mentioned: IC "Chas" Woolley was also manager here but I’m not sure when (early 1950s). Dad (John Woolley, who was also in the bank) says that there were stables at the rear of the building and these can be seen at the extreme right of the pic. He also recalls that the bank did not occupy the entire building and that there was also a radiographer with rooms on the ground floor. 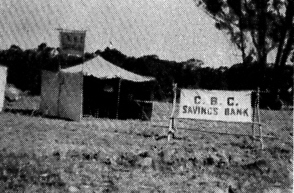 1969 1964 This photo of our Agency at a Jamboree held at Orange, appeared in Current Accounts, July, 1964. If memory serves me right, the Orange Jamborees were held over Easter. 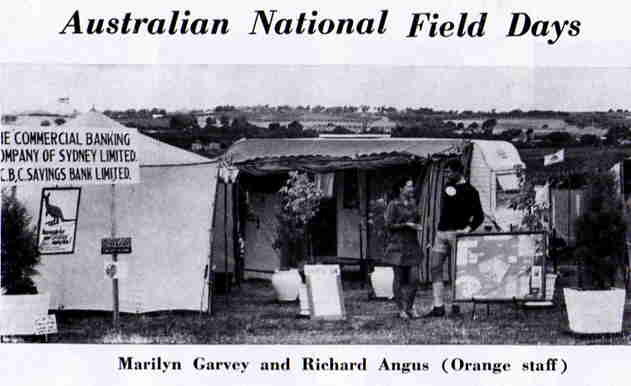 1969 November Australian national Field Days at Orange, in Current Accounts July 1970.